For a data center to maintain its efficiency, the cooling requirements must be met. Temperature limits are a critical consideration when designing a data center because they can cause serious server issues. Servers may not operate well when the temperature is too hot or too cold. The environment must be right for optimal performance. Furthermore, if the data center ends up generating too much heat, it could result in extremely high utility bills for the facility. Having proper cooling systems will not only allow you to ensure optimal performance of your servers but also minimize on the energy costs of the facility. Our data center engineers can tell if the data center is too hot or too cold and provide advice on how to keep the operation of the facility cool. We will review the cooling infrastructure that can be used for your facility based on constraints on the space, maintenance and IT infrastructure used. 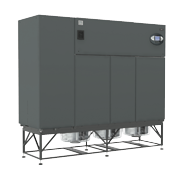 There are numerous items that can be incorporated when designing a cooling system for a data center. Most common components used to maintain proper temperature levels in data centers include condensers, water heat exchangers, water distribution cabinets, chillers and data center air conditioning. CRSC understands how important it is for a data center facility manager or engineer to meet the cooling demands of the facility. 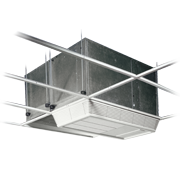 We come up with a wide range of cooling solutions for your facility that appeal to different needs and budgets. First, we will need to audit the current facility and report on areas that need improvements. We can offer quick fixes that are reliable and will prevent downtimes that could interfere with the business operations. We can offer a cooling solution that is not only affordable but also very effective and designed to meet your unique needs. We’ll make sure we’ve identified the hot spots so that any cooling solution recommended is properly designed to mitigate risks. Sometimes the cooling requirements of a data center are so unique that coming up with a one size fits all solution doesn’t provide maximum efficiency. We resolve this issue by coming up with a complete line of custom equipment for the client. The equipment will be carefully chosen and designed to meet the clients cooling needs. Customized cooling products provide the best solution for a fully-fledged data center that is likely to spend a lot of energy. 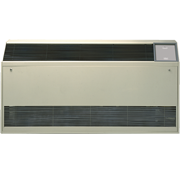 It is one of the best ways to reduce energy costs and eliminate hot spots by getting rid of bypass airflow. Our goal is to help you take advantage of reliable cooling solutions to improve the efficiency of your data center. We will review your current situation and recommend ways to reach your goals of better efficiency more quickly. Our company is Uptime accredited, enabling us to provide infrastructure that meets operational sustainability and performance. We build Tire I, II and III data centers that comply to the standards set aside by the Uptime Institute. We ensure your facility obtains the necessary Tier Certification after construction. If you are ever in need of a company to offer reliable cooling solutions for your facility, CRSC is here for you. Get in touch with us today.